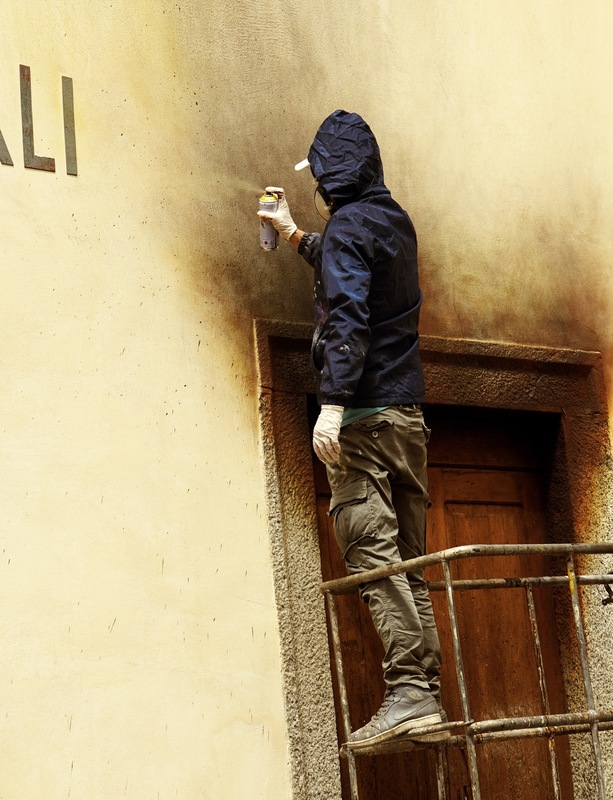 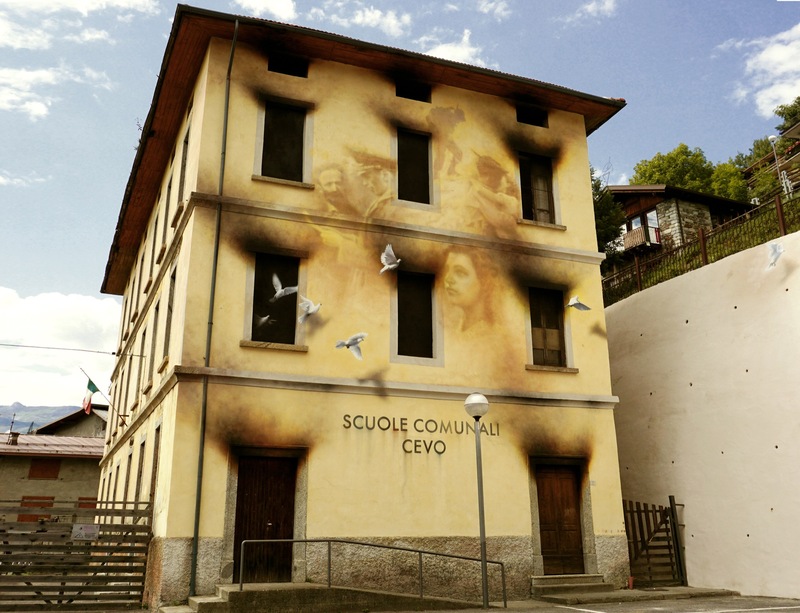 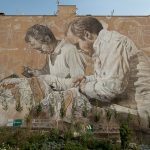 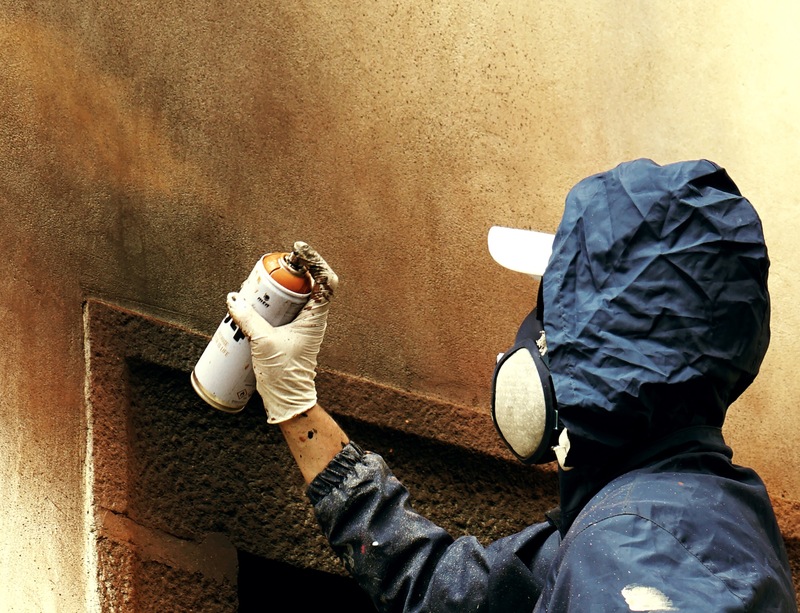 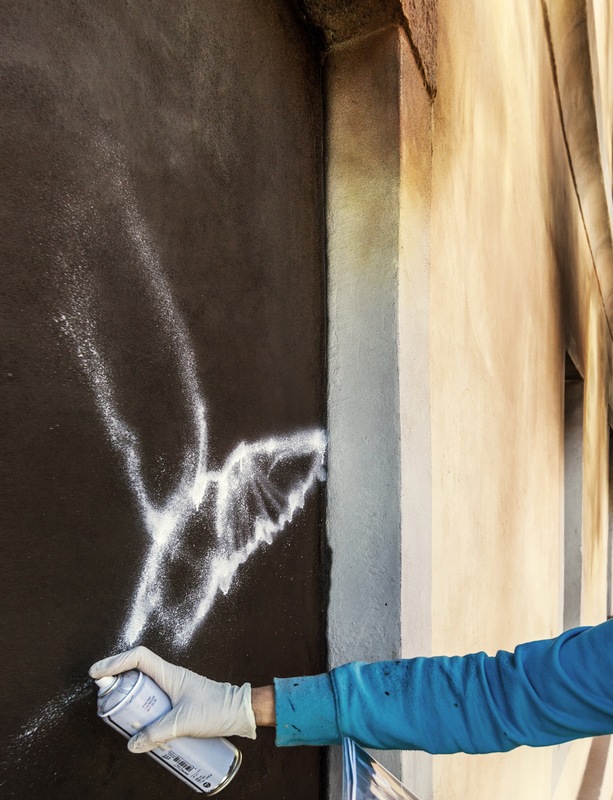 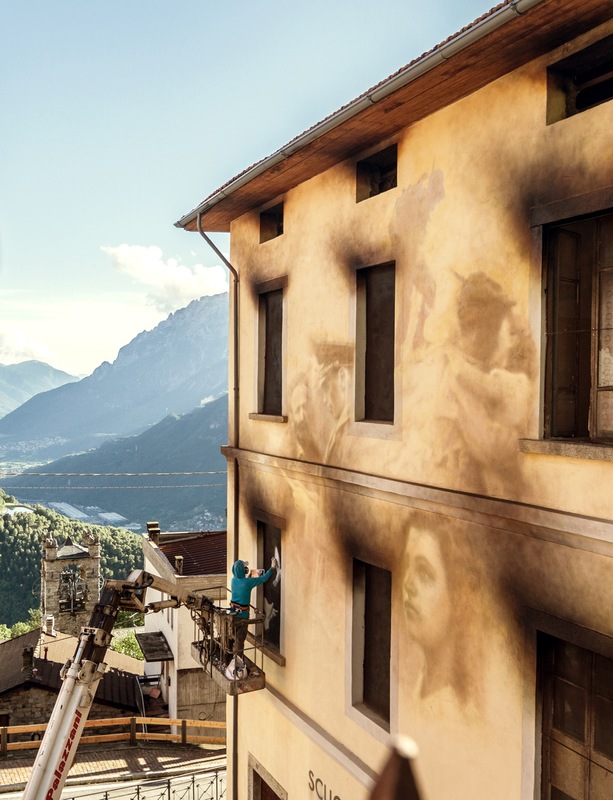 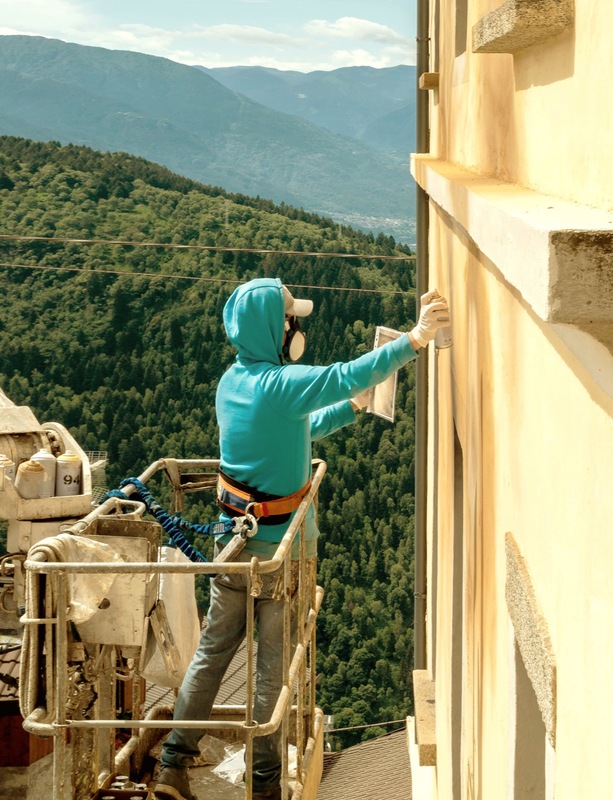 Italian artist Eron has just painted a new piece of his series ‘Soul of the Wall’ on the façade of the former school building in Cevo, Camonica Valley, Italy for the Wall In Art project. 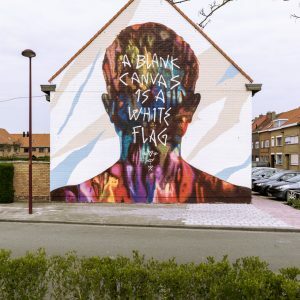 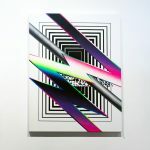 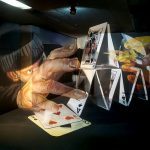 Created to commemorate the history of the village, as well as to bear witness to the tragic nature of war, the mural is the poetic fusion between painting and optical illusions inspired by the perceptual phenomenon known as pareidolia (the human tendency to perceive a specific, often meaningful image in a random or ambiguous visual pattern). 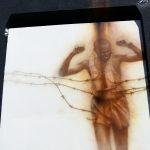 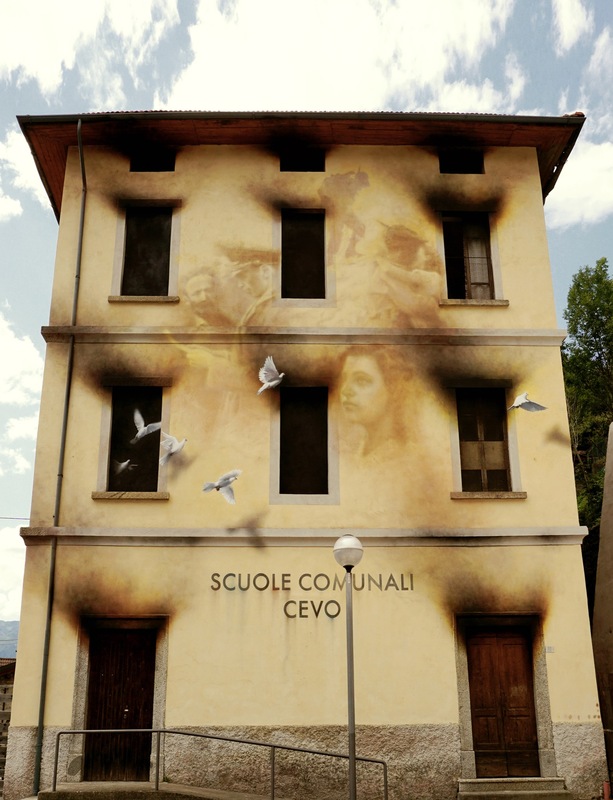 The ghostly figures of those who lived and worked inside the building emerge through the soot stains depicted by the artist, who created a balanced composition that evokes the fire occurred in Cevo on 3 July 1944. 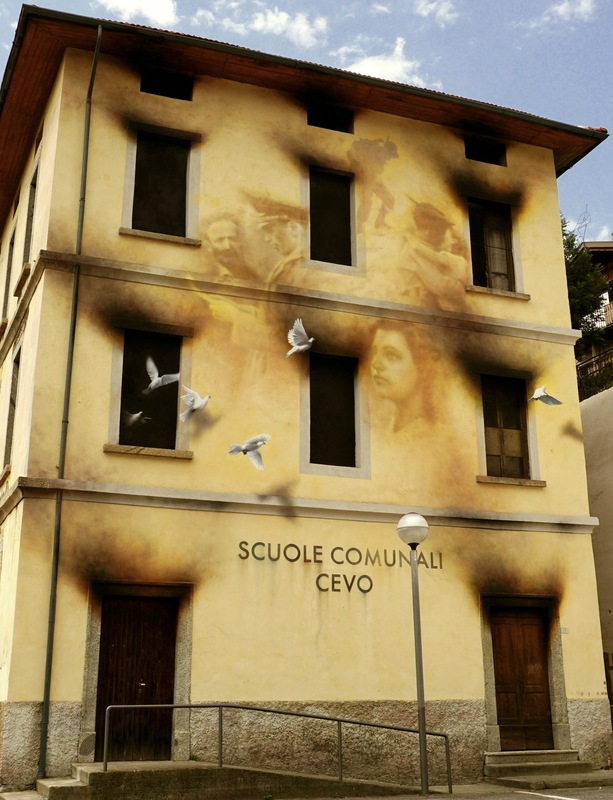 On that day, the small town was almost destroyed by an arson committed in retaliation for partisan activities. 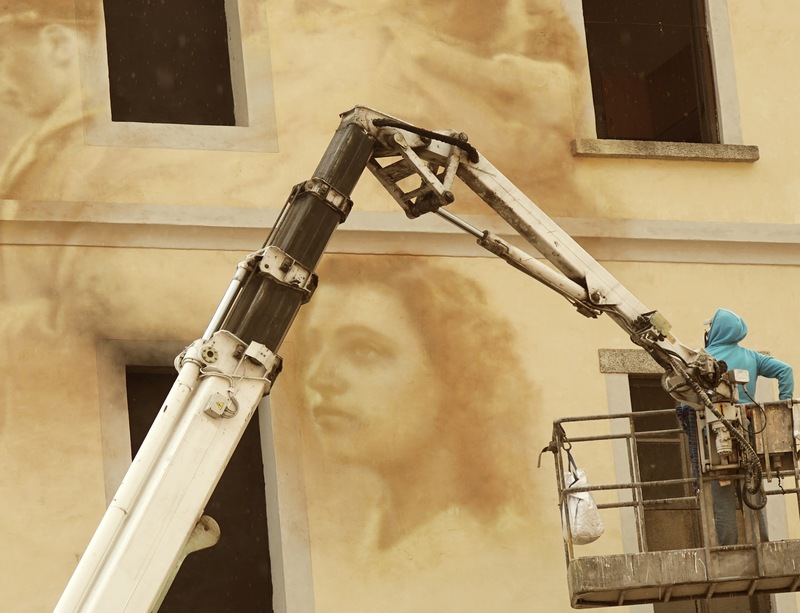 In the foreground is the evanescent face of Maddalena Bazzana, who worked as a teacher in that school. 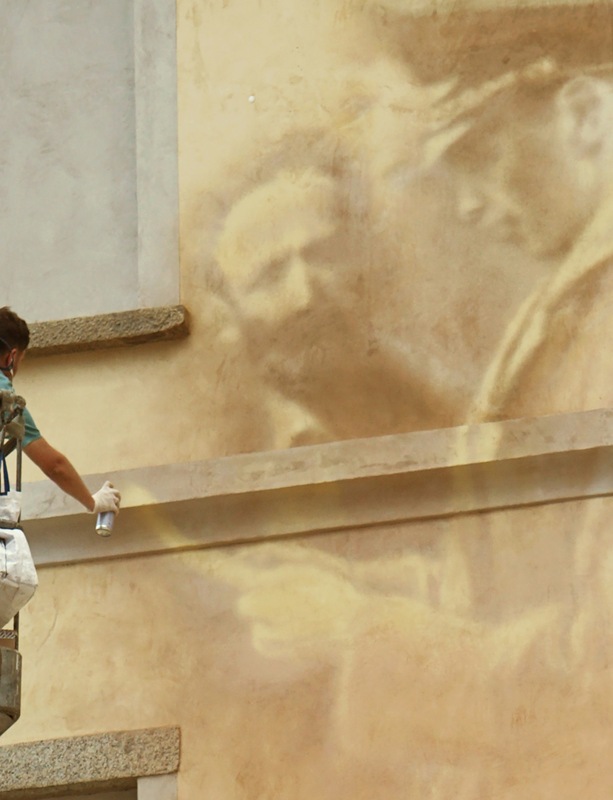 Behind her, poignant scenes related to the events of the Resistance and the Great War come to life: teacher Bartolomeo Cesare Bazzana (her father), an authoritative leader of the community and a partisan, is portrayed during a tragic document check; on the right, a soldier is holding his lover for the last time, whilst a lone Alpino soldier is climbing to the front line. 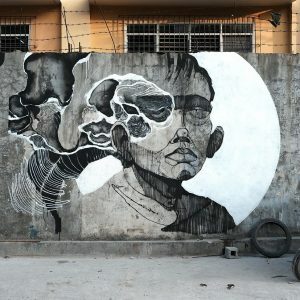 These touching scenes are filled with tension, as not only do they show the moments that come before the absolute horror of armed conflicts, they also open the way to an understanding of the meaning and consequences of war. 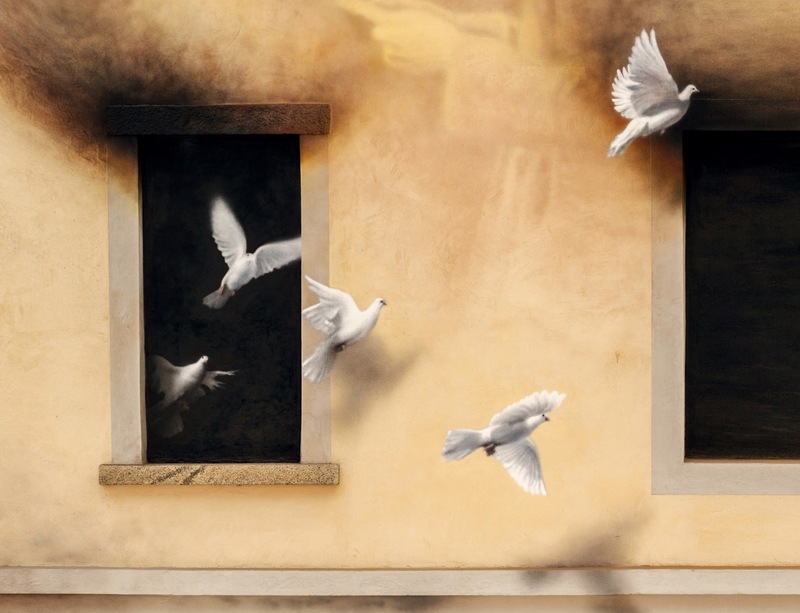 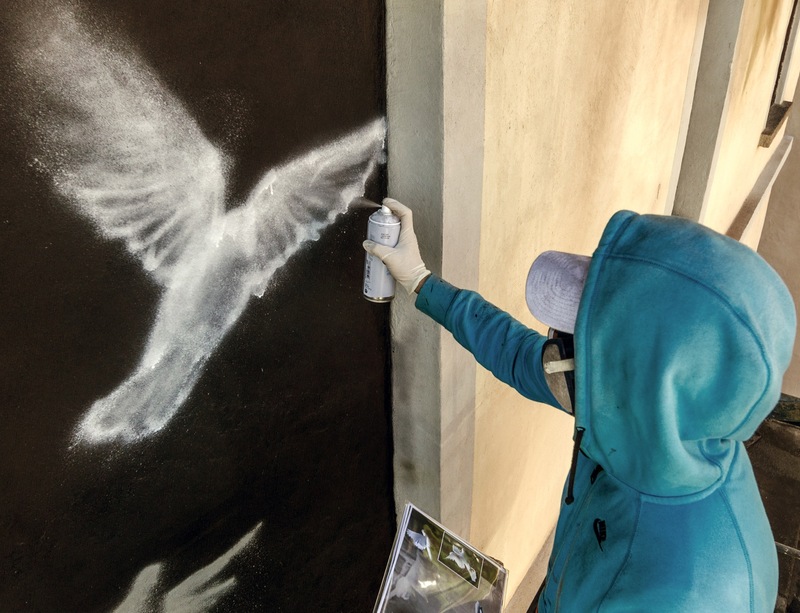 With their vibrancy and their symbolic value, the white doves that fly and flee from the darkness left behind by the fire appear as the answer to the question raised by the mural: they are the message of peace that ERON sends from a village that knows the brutality of war all too well.